As a University with “Young and Global” as its credo, Universitas Muhammadiyah Yogyakarta (UMY) keeps supporting programs with international scale as the form of UMY’s venture to be a reputable university. In its way to realizing those venture, in the latest event, Faculty of Medical Science (FKIK UMY) held a Welcoming Ceremony FKIK UMY 2018 to welcomes the FKIK UMY summer school Program 2018 participants which held on July 30th, 2018 at Asri Medical Center, Convention Hall, 3rd Floor, located at Rd. H.O.S. Cokroaminoto, no. 17, Pakuncen, Wirobrajan, Yogyakarta. This year, FKIK UMY held the Welcoming Ceremony to officially opens the five FKIK UMY summer school programs, which is ITMSS, IDSS, INSS, IENC, and IPSS, simultaneously. 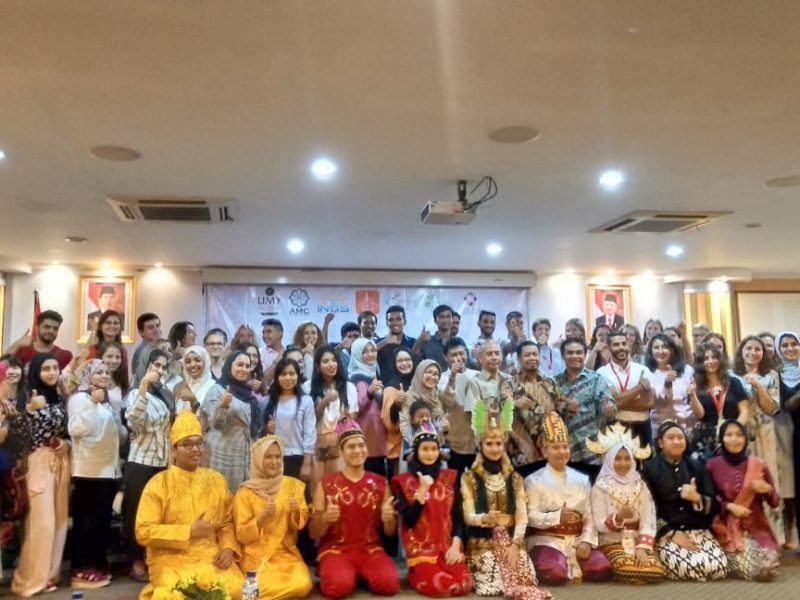 Those programs are the annual programs arranged by FKIK UMY as their concern to providing platforms for Medical School students around the world to learn more about Indonesian medical environment. Furthermore, this event was attended by honorable guests such as representative of King of Yogyakarta (Sultan Hamengkubuwono X), Vice Rector of UMY, Director of Administration Affairs of Cooperation and International Affairs, and representative of FKIK UMY’s Dean.